2. Slice the squash and add to a baking tray. Drizzle with olive oil, chopped sage leaves, a pinch of salt & Pepper. 3. 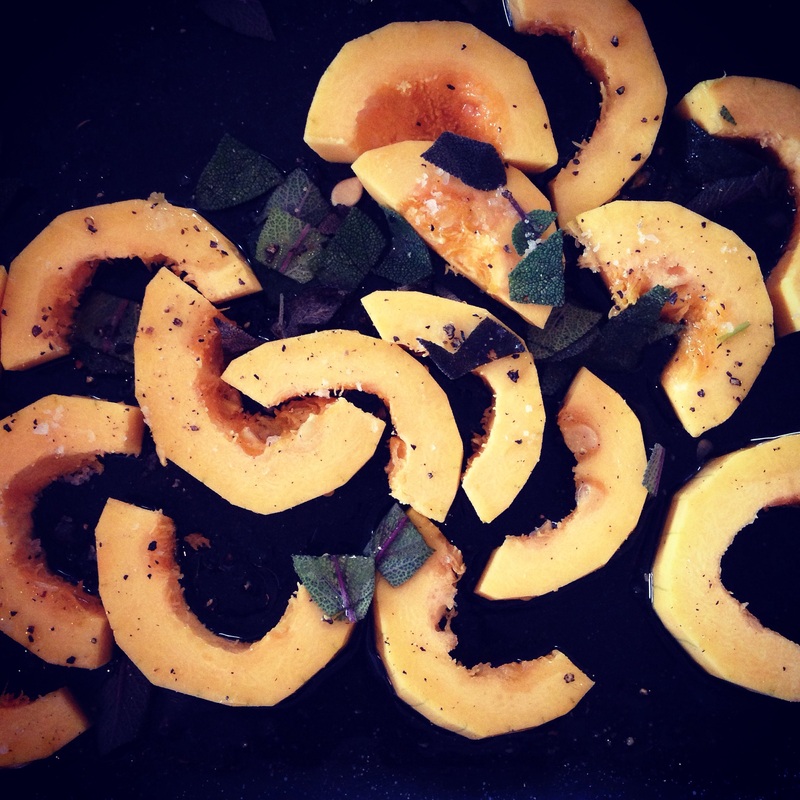 Roast in the oven for 20-25 minutes, or until the squash is tender and beginning to brown. 4. Drain the Cannellini beans and add to a food processor along with the mixed herbs, crushed garlic, salt & pepper. 5. When the squash is tender add it to the food processor along with 100mls olive oil. Blend until smooth. If the dip is too thick use a little water and blend again to loosen. 6. Put a frying pan on the hob and add a handful of pumpkin seeds. Heat until the seeds begin to pop, then remove from the heat. 7. To serve hollow out a small culinary pumpkin. 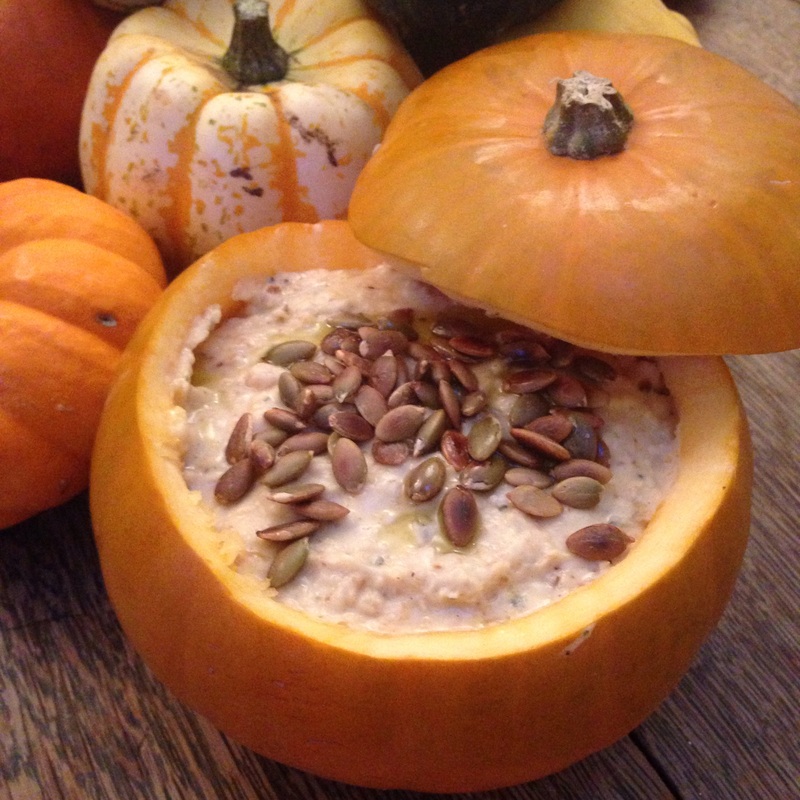 Spoon the dip inside and sprinkle the pumpkin seeds and a drizzle of olive oil. Happy Halloween Everyone! Wishing you a fangtastic weekend!